NHAI, IHMCL has been mandated to implement the National Electronic Toll Collection (NETC) programme under the brand name FASTag. New Delhi, Mar 11 () To ensure faster implementation of electronic toll collection, Indian Highways Management Company Ltd (IHMCL) has inked a pact with CSC e-Governance Services for issuance of FASTag through common service centres, according to an NHAI official. Promoted by the National Highways Authority of India (NHAI), IHMCL has been mandated to implement the National Electronic Toll Collection (NETC) programme under the brand name ‘FASTag’. “In a major fillip to ensure easy availability of FASTags, IHMCL, a company promoted by NHAI, has signed a memorandum of understanding (MoU) with CSC e-Governance Services India Ltd, a special purpose vehicle, set up by the Ministry of Electronics & IT, for issuance of IHMCL FASTag through common service centres (CSC),” the NHAI official said. The collaboration aims at making FASTags available to citizens through an extensive network of over 1 lakh CSC outlets across the country. The FASTag programme is an initiative by the NHAI and the Ministry of Road Transport and Highways (MoRTH) to enable road users to pay the toll electronically without stopping by at toll plazas and thus reducing congestion. The programme was launched in April 2016. 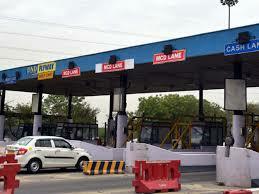 Currently, it is operational at over 480 toll plazas along the national highways and select state toll plazas. Till date, more than 4.3 million FASTags have been issued, the official said. FASTags were being issued by certified banks only through limited channels such as point of sale at NH toll plazas, online, and select bank branches, etc. The official said recent government measures such as mandate to affix FASTag for issuance of a national permit for commercial vehicle, proposed integration of FASTag with the e-way bill system of GST, etc., have led to an urgent need to scale up the FASTag issuance channels. The issuance of IHMCL FASTag shall go a long way in ensuring that vehicle owners are able to purchase them from an extensive network of CSCs across the country, he said. Recently, IHMCL has also signed MoUs with state-run oil marketing companies IOCL, BPCL and HPCL for ensuring availability of FASTag at petrol pumps. The MoU between IHMCL and the CSC-SPV (special purpose vehicle) is a step aimed at providing a safe, smooth and seamless journey to road commuters on national highways.